Looking to “wow” the people on your Christmas shopping list this year? Want to bring a fun, unique gift to your office Secret Santa? If you’re having trouble finding that special gift that no one else has, we have great news for you! 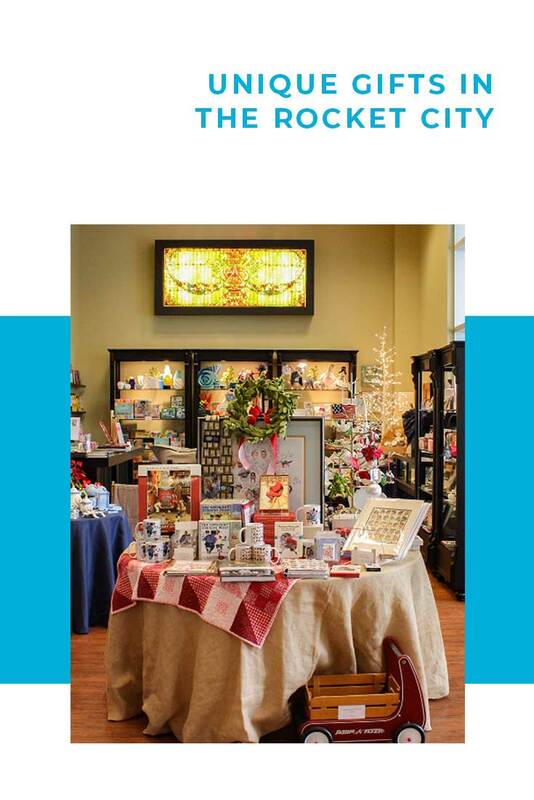 Huntsville is packed with one-of-a-kind, local shops that have plenty of nifty gifts to choose from. Try out one of these unique shopping destinations to find stocking stuffers, gifts for kids, coworkers—even pets. Here are some ideas to help you find the perfect gift this holiday season. In the heart of Downtown Huntsville, Lewter’s Hardware has been the place to find tools and home improvement supplies since 1928. But did you know that some of their best-selling items are perfect for kids? That’s right! 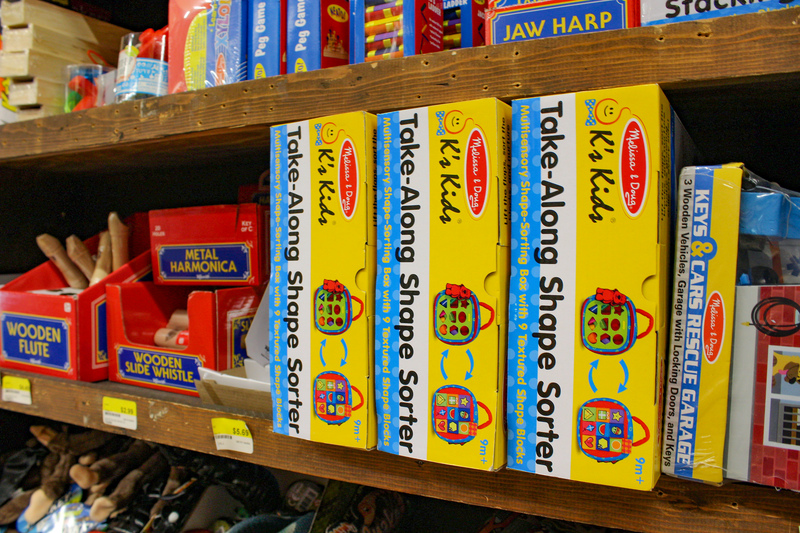 Lewter’s has a wide selection of old-fashioned children’s toys including wooden trucks, alphabet blocks, learning games, and even tricycles and toy airplanes. Maybe you’ve seen the popular “Egg Beater Jesus” t-shirt that’s been floating around Huntsville-centric social media channels. (In case you missed it, here&apos;s the backstory on Egg Beater Jesus). The creator, Fow Wow Designs, has many Huntsville inspired items that are sure to turn heads at your holiday party. Check out their selection of shirts—featuring sayings like “I Like Big Spring Ducks And I Cannot Lie.” Or get their “Whisk You Were Here” t-shirt with a beautiful Egg Beater Jesus design. 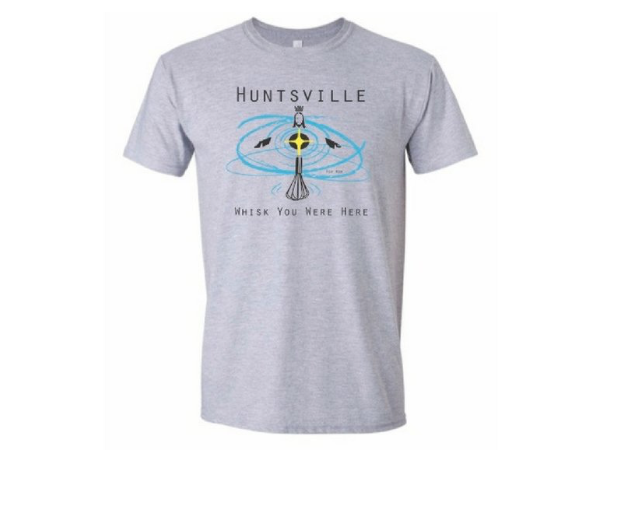 They also have hats, tea towels, and a few other gifts that will show everyone your love of the Rocket City. 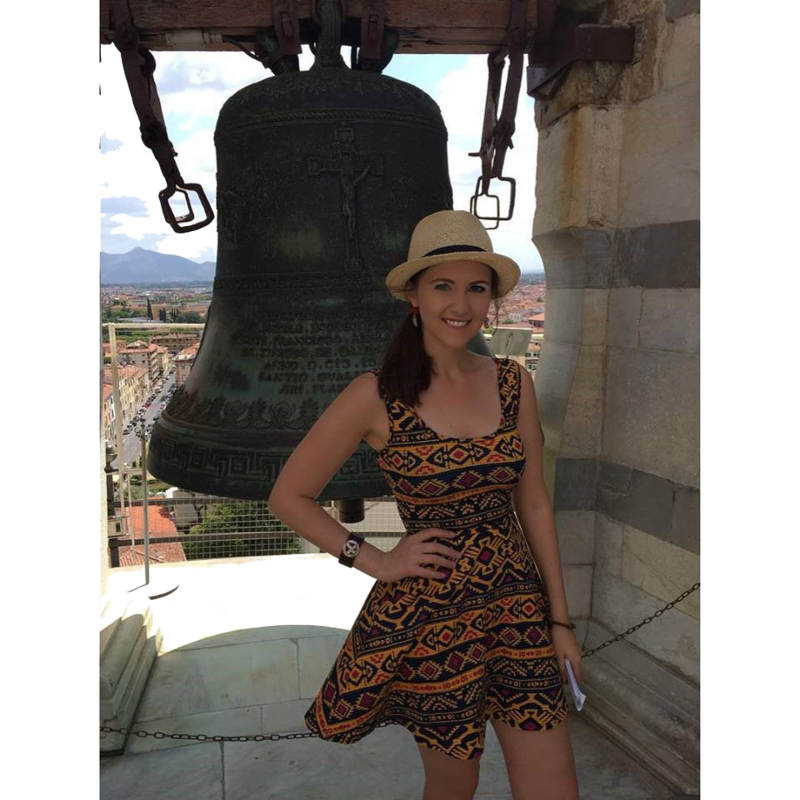 One shopping destination you need on your list just for the location alone! 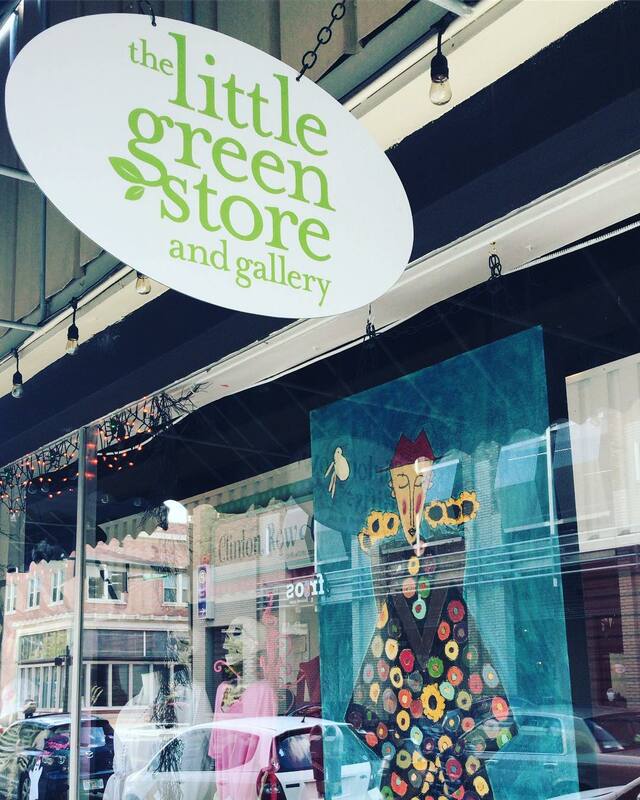 Situated atop beautiful Monte Sano Mountain sits the Little Green Store and Gallery, a charming boutique bursting at the seams with local art, handmade goods, home decor, and much more. While you&apos;re up on the mountain, don&apos;t forget to also check out Burritt on the Mountain and their on-site gift shop, Josie&apos;s.
Nestled in the corner of the Clinton Row Shops in downtown, Asylum Comics has everything you need for the one on your list who loves comics, sci-fi, and collectibles. Looking for a gift for a Doctor Who fan? They have it! How about loads of comics and trading cards? They have that too! 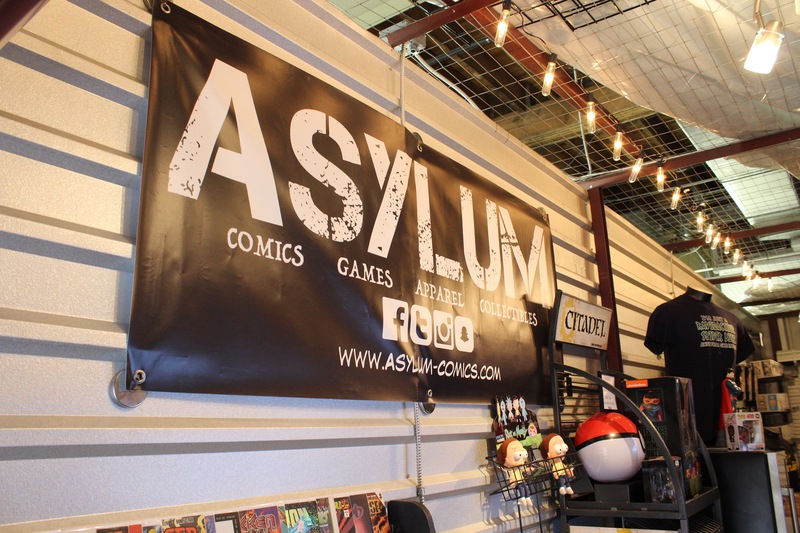 Plus, after you grab your goodies at Asylum you can explore the other shops in the Downtown Storage building such as Woodtech and Boutique Station—just to name a few. And across the street, you can visit The Garage at Clinton Row—home to Honest Coffee Roasters, Elitaire Boutique, Roosevelt & Co., and Frios. Stocking stuffers galore can be found at this adorable shop. 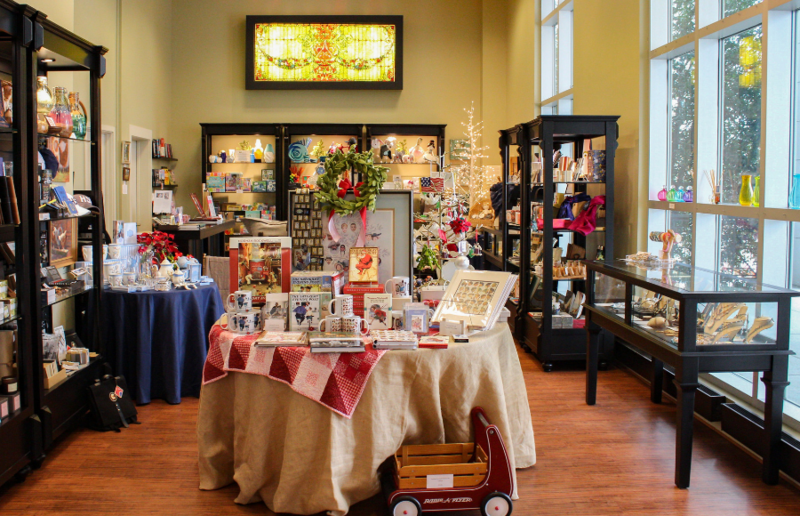 On the first floor of the Huntsville Museum of Art, you can choose from a wonderfully wide selection of gifts; there’s something for all ages. Kids will love one of the children’s books on display or funny socks that feature historical figures, like Albert Einstein. 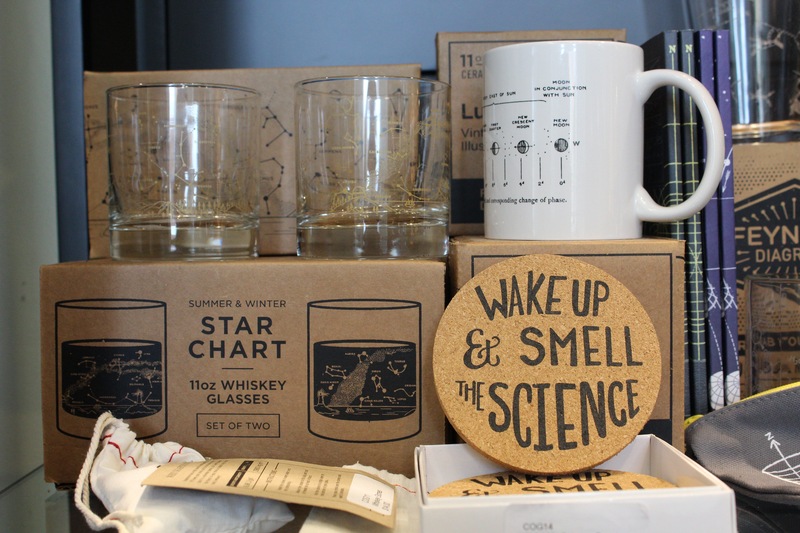 They also sell gifts for dad, like ties, locally made beer growlers, and coffee mugs. Best of all, some of the gifts are space-themed. It doesn’t get much more Huntsville than that. Can you think of other fun, unique shopping destinations in Huntsville/Madison area? We’d love to hear where you shop. Let us know in the comments below!